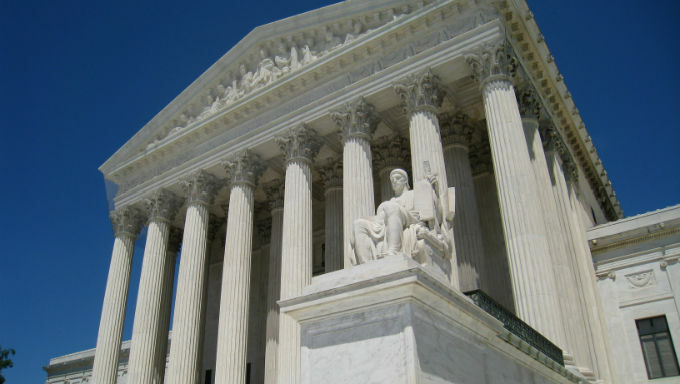 The Supreme Court has reversed a ban on legalized sports betting, opening the possibility for a massive increase in sports gambling opportunities in New Jersey and across the United States. The 7-2 decision was expected by industry experts, many of whom projected the court would rule in favor of New Jersey, the plaintiff in a legal challenge then called Christie vs. NCAA. The New Jersey government, under then-Gov. Chris Christie, had challenged the Professional and Amateur Sports Protection Act target, which placed a federal ban on sports gambling across most of the U.S. The legalization of sports gambling requires an important policy choice, but the choice is not ours to make. Congress can regulate sports gambling directly, but if it elects not to do so, each State is free to act on its own. Our job is to interpret the law Congress has enacted and decide whether it is consistent with the Constitution. PASPA is not. PASPA “regulate[s] state governments’ regulation” of their citizens, New York, 505 U. S., at 166. The Constitution gives Congress no such power. The judgment of the Third Circuit is reversed. Long-term effects remain to be seen, but the ruling undoubtedly opens up new markets for legalized sports gambling in the U.S. Multiple states have prepared legislation to bring wagering into their borders and some could accept bets as soon as summer or fall of this year. New Jersey argued that PASPA violated the 10th amendment, an argument previously rejected by multiple lower courts. In a surprise decision, the Supreme Court took up the case, giving hope to legalized gambling supporters as it was unlikely the court would take up the case just to reject it again. Last year lawyers on behalf of both New Jersey and the sports leagues argued before the court. Led by former solicitor general Ted Olsen, the NJ team said the law illegally commandeers states into monitoring sports betting and doesn’t outright ban it. Lawyers arguing on behalf of the NCAA say the law makes a distinction between commandeering the right to self-governance and the federal government’s legal ability to prevent states from making laws that go against federal statutes. The court rejected the sports leagues' reasoning in overturning the lower courts' decisions. Expecting a reversal, nearly 20 states worked on contingency sports gambling bills should New Jersey’s challenge work. Among the states pursuing legislative actions were Pennsylvania, New York and Connecticut, all of which wanted a chance at potential revenue options should gambling legalization come to nearby NJ. Other states to advance legislation include West Virginia, Louisiana, Kansas and Massachusetts. These states, as well as others contemplating legislative action, have all taken different approaches to legalization. Each state will now have to figure out when, and to what extent, it wants to allow gambling opportunities. Despite initially joining the NCAA to support PASPA, several professional sports leagues came out in favor of legalized sports betting. Major League Baseball and the National Basketball Association were recently joined by the PGA Tour for a unified front in support of legalized wagering efforts. The National Football League has remained largely silent on the issue, though it has discussed the possibility of legalized sports gambling at recent meetings. The National Hockey League has likewise avoided any public stance. The NCAA, the only league of amateur athletes in the lawsuit, has remained opposed. The NBA and MLB shifted positions in part to capitalize on revenue opportunities in preparation for the change to the law. Seeing the likely legalization, the leagues had sought an “integrity fee”, or one percent of gambling revenues, the organizations say are necessary to assure the protection of the game. State legislatures have been disinclined to give up the revenue, and lobbyists on behalf of the casino industry say the one percent fee could amount to more than 20 percent of a gambling entity’s net profit. While most states haven’t agreed to one percent, several have reached a compromise approach and decided to give the leagues 0.25 percent should gambling become legalized. Meanwhile players associations from the United States’ four biggest professional sports leagues issued a statement seeking a cut of the revenue as well. As the highest court in the U.S., there can be no further challenges to the PASPA, meaning the legal issue is settled. The ruling paves the way for New Jersey to offer sports wagering, with the first bets expected to come as early as this year. Several racetracks and casinos in the Garden State had already expanded facilitates to support sports gambling should it be legalized. Other states that preemptively passed sports gambling legislation, most notably West Virginia, will likely not be far behind. With potentially millions of dollars in revenue at stake, a flurry of other states are sure to follow. Where and when states will offer sports gambling is yet to be determined. Some may only offer only certain types of bets, some may offer wagering opportunities only in brick-and-mortar facilities and some may not offer any at all. The questions over the integrity fee will linger, as will how states, leagues and athletes will be compensated by the new potential windfall of revenue. Regardless, the most significant hurdle - a federal ban on sports gambling - is irrevocably gone. That’s good news for the millions of Americans that place bets on sporting events already and will finally be able to do so legally.